We are heartbroken to announce that Joan Rosendal, our beloved wife, mother, and Oma, went to be with her Lord and Savior on March 31, 2019 at the age of 78. We are comforted in knowing that she is now safe in the loving arms of our faithful Saviour and Lord. Joan is lovingly remembered by her husband of 54 years, Henk; her children, Linda Rosendal, Cynthia (Warren) Krikke, Peter (Natalie) Rosendal, Derek (Denean) Rosendal; her grandsons, Timothy, Jeremiah, Caleb (Leah), and Skylar; her siblings, George (Toni) Fernhout, Bill (Joanie) Fernhout, Ada Anema, John (Corinne) Fernhout, Tom (Marlene) Fernhout; Henk’s brothers & sisters in The Netherlands; Joan’s cousins in The Netherlands and many nieces & nephews. An expression of sincere thanks to the staff at the Glenrose Rehabilitation Hospital and the Royal Alexandra Hospital ICU staff. 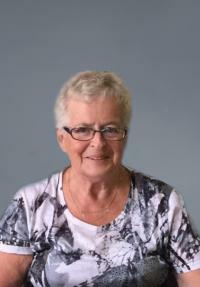 A Celebration of Joan’s Life will be held on Friday, April 5, 2019 at 1:00 p.m., at Trinity Christian Reformed Church, 13427 - 57 Street NW, Edmonton. In lieu of flowers, donations to World Renew, 3475 Mainway STN LCD 1, Burlington, ON, L7R 3Y8 or the Heart and Stroke Foundation of Canada, 5241 Calgary Trail NW #144, Edmonton, AB, T6H 5G8, would be greatly appreciated.